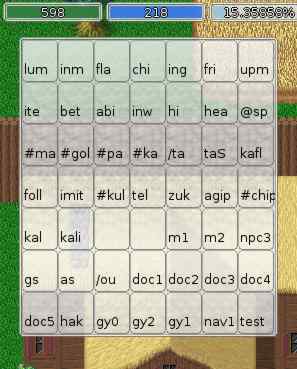 In this window you can use predefined spells/commands or add new. Right click cell to edit and select edit spell. 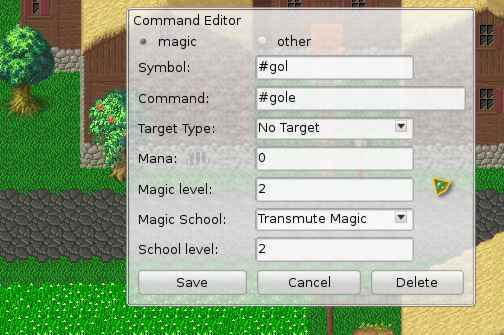 Edit spell and press Save. Also you can copy any spell from here to shortcutswindow. Left click spell in Spells Window. Left click cell in shortcuts Window. 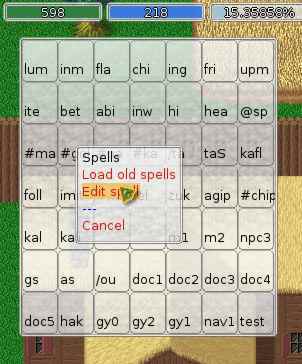 Also you can use spells in spells window, by pressing middle button on spell.